American Site Restoration LLC. 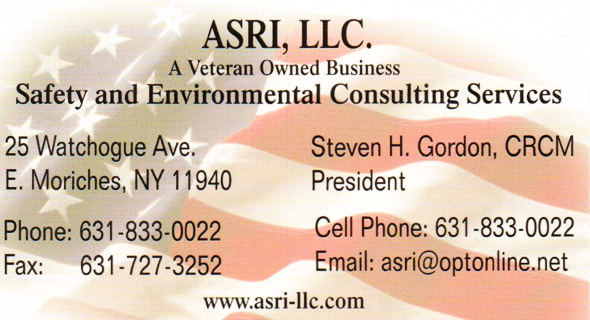 is a full service consulting and restoration firm with 32 years of combined experience in the environmental field. American Site Restoration, LLC. in the News!! American Site Restoration, LLC. was consulted by ABC Channel 7 News in New York City regarding the recent steam explosion outside of Grand Central Station. Please follow this link to view the full video and find out what Steven Gordon, Owner of ASRI, had to say about clean up and repair of the building.